Graduate and undergraduate students currently taking Belmont’s Science Elementary Education and Science in Elementary School courses recently hosted a Family Science Night for family members of faculty and staff. The students worked in small groups to lead hands-on science activities and interactive demos designed for children in grades K-5. 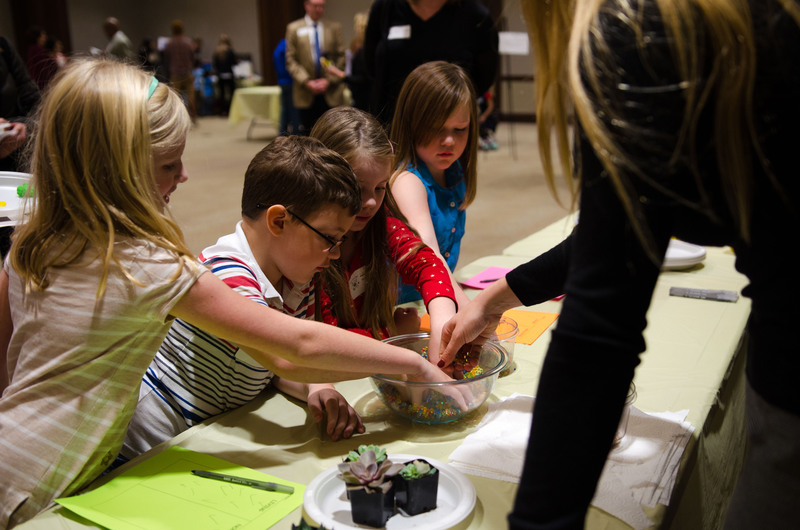 More than 65 attendees participated in the event where the Janet Ayers Conference Room was transformed into a classroom with seven different science stations. Station themes included echolocation and bats, pumpkins and making predictions, comparing living and non-living things, the planets and their properties, Earth and planetary rotation, energy transformations and forces.